Koala found its way into the car to cool off and chill | We Seek the Truth! 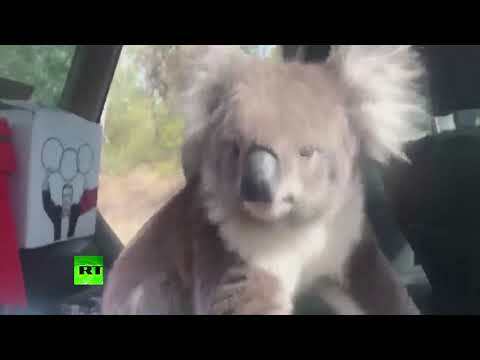 A koala took the opportunity to cool off in an unoccupied air conditioned car, relaxing on the leather seats as the owner tried to convince it to leave. Stefan Molyneux Shut Down! The Speech They Could Not Silence!